The 2017 growing season has been challenging in different ways to different regions across the Prairies. See how to best deal with the circumstances on your field. You can totally eclipse your harvest losses, and here’s how! 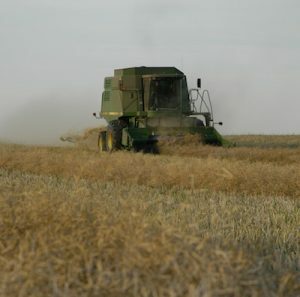 Reducing losses out the back of the combine, which can easily reach up to 5 bu/ac or more, is a way to add bushels with very limited investment. If you are not currently checking and quantifying these losses, then any attempt to get an idea of what they are is a step in the right direction. Are you straight cutting like a pro? A few tips to put you ahead of your neighbour! Whether you’ve been doing it for 10 years or you’re trying it for the first time, there is always room for improvement or streamlining. Check out these tips, considerations and conditions to look for when planning to straight cut. Do your best to prevent the build-up of all diseases, regardless of whether it has been a wet or a dry year in your region. A good effort into a management plan now could save you yield and a lot of headache later! Keep your field free of insect surprises! To avoid any potentially bad insect surprises in your fields, reacquaint yourself with these insects before going to have a look at your fields. The ideal harvest aid options will vary depending on your field conditions, harvest plan and weather forecast. Check through these options to see which scenario sounds like yours and which products may be best suited for you. Will your residue management plan set you up for a strong spring? It may seem like a long ways away, but that field that you’ll be combining will be getting seeded again in several months. Give your future seedbed a good start by managing your residue this fall. All canola should be conditioned shortly after it goes in the bin. Read through further details on how to store your canola depending on a number of different scenarios. Harvest loss could be higher than you think. Measuring harvest loss is the first step to managing (and minimizing) it. This week’s quiz helps with your loss-measuring skills. Be sure to note these two events in August and mark your calendars for events this fall.